Most democrats are left while most republicans are right. 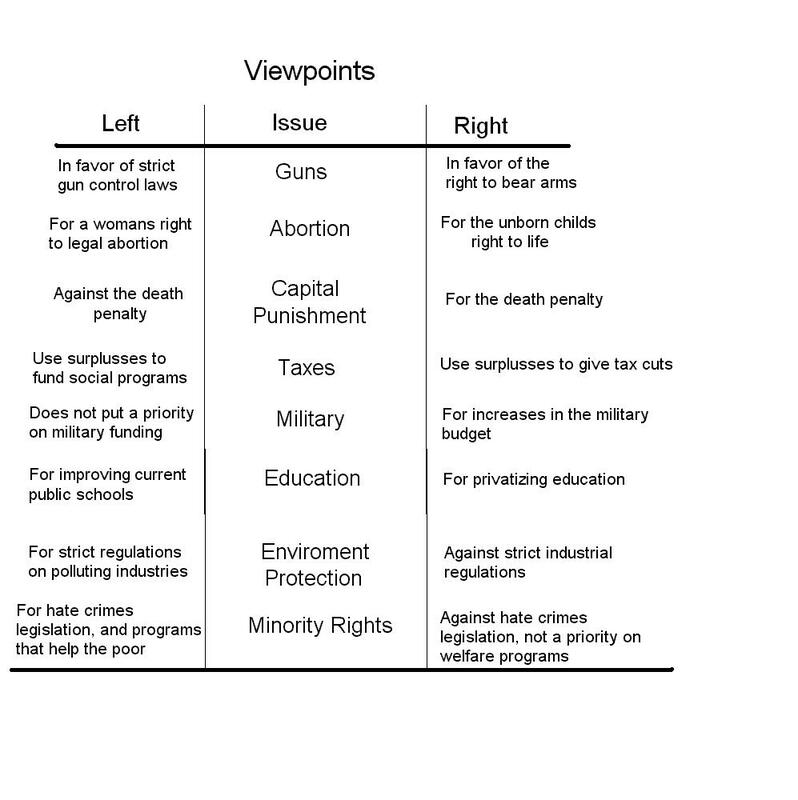 Below is a chart covering some of the major issues and a broad generalization of how either side views the issue. Someone who shares all the viewpoints to the left would be referred to as being 'far left' and vice-versa for the right. People who are 'far left' or 'far right' are often refered to as left wingers or right wingers respectively. There are some who are split, they side left with some issues and right with others, these people are known as moderates.